The Scientific Research Department of the British Museum is inviting contributions for the symposium on the recent advances in the conservation and scientific investigation of wall paintings. The deadline to submit abstracts is the 31 January 2019. 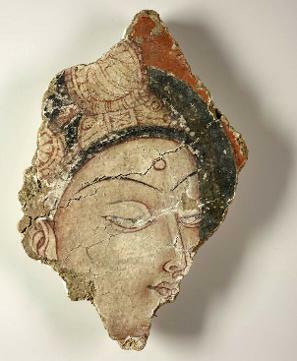 Fragment of a 6th century Chinese wall-painting showing the head of a Bodhisattva. Abstracts (max 400 words) can be sent to wallpaintings@bm-mellon-symposia.org. Abstracts must be submitted in English. It is recommended to include aims, methodology and a summary of the results/outcome of the treatment in the abstract. A maximum of two figures are also accepted. References and acknowledgements are not mandatory. Please, include your preference for oral or poster presentation in your email, although a final decision will be made by the organisers depending on the number of abstracts received.